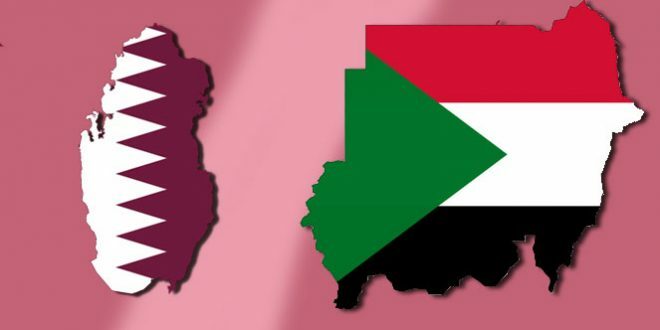 Qatar and Sudan denied the Eritrean allegation that came in a press statement it issued yesterday. Eritrea has accused Qatar, Sudan and Turkey of engaging in “nefarious acts” against it. The Eritrean ambassador to Qatar was recalled to Eritrea about three years ago but refused to return. Several diplomats recalled to Eritrea for meetings were arrested, while others have abandoned their posts and sought asylum in other countries fearing repercussion if they returned to Eritrea. The ambassador is also the most senior ambassador in Qatar and he is the dean of the diplomatic corps in Qatar, but he has little ambassadorial activity since the communications between him and his government are minimal. Like many other posts, the major activity of the Eritrean embassy is focused on collecting fees and taxes from Eritreans living in Qatar most of whom hold Eritrean passports. A resident in Qatar said, “we are held hostage by the cadres of the embassy to stay quiet, otherwise, they deny us general consular services including attestation of documents and passports. Eritreans in Qatar enjoy higher privileges compared to other countries in the region. Unlike in other countries, they work freely, they can send their children to school, and get medical attention without discrimination. Also, this morning the Sudanese Ministry of foreign affairs issues a statement in response to the Eritrean accusation. Sudan expressed its surprise at the allegation of “conspiracies being waged against Eritrea from the Sudanese territories” to disrupt the development in the Horn of Africa particularly the Eritrean-Ethiopian relations. 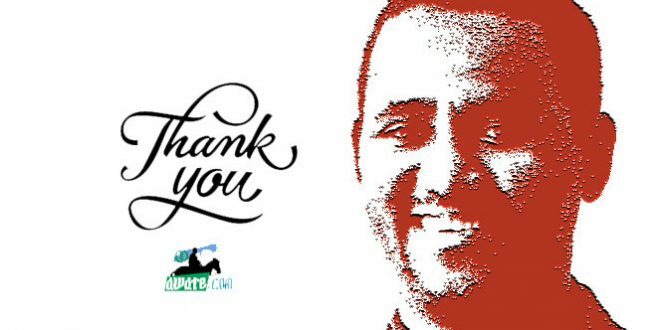 “There is no doubt that Abiy brought new enthusiasm, energy, and vigour to Ethiopia’s foreign policy, effectively resetting the country’s international priorities. Charismatic and decisive, the prime minister has often spoken of Ethiopia’s proud place in history and sought to enhance its international status. “The Eritrean ambassador to Qatar was recalled to Eritrea about three years ago but refused to return.” Why is not he been fired? I suspect he might be blackmailing IA. 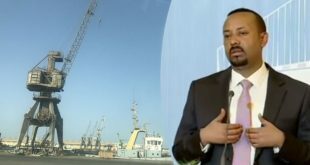 Berhane Abrhe mentioned that IA has received millions as personal gift from Qatar. I know Gedab reported he was recalled “three years ago” because that is the only available evidence–but personally I know it’s more than that. The ambassador is in the middle of everything that went in Qatar and could spill a lot of beans. 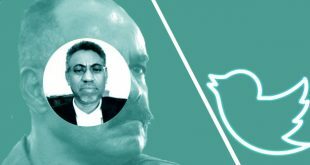 He knows what is happening in the Dankalia region–he is from Dankalia and now he could even have more information about the UAE-Qatar political rift and Isaias’ gambling. Hi All; I have no idea who are the audiences in this but why Qatar or Sudan will have any beef with Eritrea? Sudan should worry about their situation and the last thing they wanted to is create a fight with Eritrea. I have no idea but if this is just a maneuver to channel the Eritrean people’s a call for a change, a call for normality, a call for the rule of law and the call for reform then the Eritrean government is sadly mistaken and the consequences of this cheap game going to be tragic. However; if there is a real danger about those three countries, let the Eritrean people know and let the UN know. it is not time to play games. “Let the UN know “ any new thing in UN head quarters? I thought these countries would stay silent but here they are replying which is not surprising they are saying “ we are people of peace “ . Now who is talking about this issue? Well all Eritreans, I believe this has nothing to do with our problems at hand . DIA and his pals shouldn’t tryout such game if it is false and if it is true , well , what exactly is the beef . I think Qatar royal family are evil families just like Issias and his groups , Sudan leader is simply playing ታቕያ as ever . Al Bashir is the boss of evils who murdered 3 million innocent people and the Qatari royals are the founders of Islamists for the sake of “ peace” , Qatar doesn’t give Eritreans any more gifts from other nationalities in Qatar . The notion Eritreans enjoy any more benefits in Doha is pure lie . No Eritrean is more than the Philippines , Pakistani , Ethiopians and other nationalists in Qatar . Not a single Eritrean is given any favor by the royal families in Qatar, none . Qatar with its Aljazeera propaganda news organization have been the engine of evil for Eritreans and it will stay as such because that is what Qatar Gas money is all about , financing evil regimes and also evil Islamists is the only skill the evil royals can do .They have been the blood line fot PFDJ for almost 28 years and now here we are , my wish is for Saudi and UAE to kick these evils nose until it stops breathing or until it stops harboring Muslimsbrotherhood as well as financing others groups . 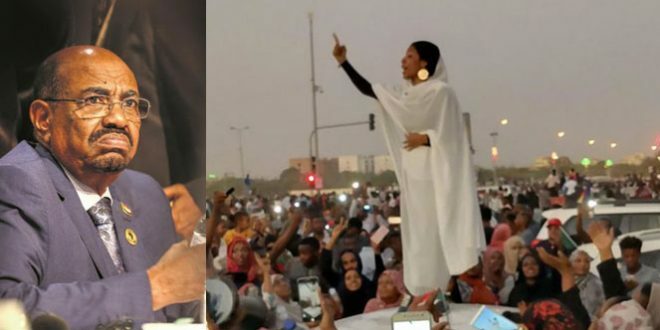 For Eritreans any danger from Sudan can’t even reach Tessenei so, no issue at all . For Eritreans any issue of religious movement will die early as these who try to play religious card have no space what so ever . It was already tried in 1994-6 and failed due to the Eritrean lowlands effort to nick down any radical movement on their home . So no worries about such losers . 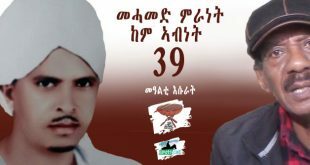 Hi Blink; so what is the real point of the Eritrean MOI press? I mean they even brought Ethiopia to the mix. 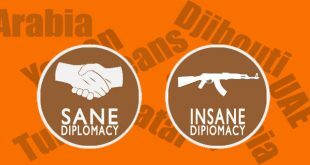 I don’t get it how Sudan, Turkey and Qatar can sabotage the peace process. weather the peace works or breaks is up Eritrea and Ethiopia. I don’t get it. I suggest they put their time to drafting reforms and the way forward than giving press chasing ghosts and imaginary enemies. Sheikh who at one time declared that Eritrea is a Muslim country but get under colonial power of few Tigrinja speakers .Either way it is a good game for all Eritreans . The problem is the wide out plan of the opposition is already dead and these Yeakl are waiting for the Eritrean military guys to change the game . What a time to be . The article has one big mistake and that is “Eritreans in Qatar enjoy higher privileges compared to other countries in the region. ” that line is simply not true . Qatar is a labour abuser and in fact a horrible place for any non Arab citizen. The Arabs are known for excessive slavery just as the history shows . Hi Blink; forget those YaAkil BS. imagine people like Berhe and semere getting to gather and making some BS video screaming YaAkil. what do you think they are going to achieve? Of course they are hoping, praying and day dreaming and waiting for the military to do something for them. I agree, change or reform is a must but not through violence and force. What I don’t get is, for the YaAkil disgraced crowed that they are leading their life, sending their children to school but they have qualms for some once child to die to bring change. Man, how corrupted are this people. Change yes, but if one life to be wasted, NO! Although the government of Eritrea needs to understand and PIA must know that his days are numbered. the question is will he honorably transfer power or some one takes it from him in disgracing his legacy? What PIA say on May 24 will be very telling. one thing is real, the same old yada, yada will not cut it. On May 24 2019 PIA should start by releasing all political prisoners any short? Not good. I feel sorry for you. 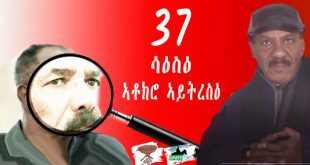 አብ ዘይሰምዓካ መልአኽ አይትማህለል New year, Sept 1st, Independence Day, mealti semaEtat…you keep wishing IA to make change and be human. When are you going to get it. 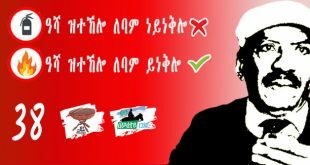 He will never change to make life better for Eritrean people. The only way he understand is through people power. Are the over 2000 and continuing taking the yiAkl challenge is BS to you. You worry about PIA legacy, seriously Hangol derho. Some of your comments are reasonable but contradict each other. If you believe change is a must and IA should know. How do you think the public deliver to him the massage? Do you really believe he will hand over willingly? History tells us no dictator like him had handed power willingly. Either he has to be pressured or pushed. No one is asking for violence but the military has the means if they are on the side of the public like in Algeria, Egypt and Zimbabwe. In the past, you were successful to some extent through your DIVIDE, DIVERT, DEGRADE and CHEER Isaias, but at present your whole discourse, even if you make it a book is summarized to four words. Any Eritrean will take him seconds to read your entire book and evaluate your minute mind. Eritrea from now on will be a UNITED, FOCUSED, DIGNIFIED and RULED BY LAW THAT ACCEPTS AND RESPECTS THE RIGHTS OF ALL HER SONS AND DAUGHTERS. Everybody knows the So-called ukrma iutfit is just like any other Eritrean association not crying for power but just enjoying the right to exist. If it run for election I wouldn’t vote for it and it’s not poised for that. Importantly, it was a footnote that the stupid PFDJ decided to use as a scarecrow. The news was not about it at all but about the belligrabce of the pfdj. How supposedly intelligent people can not discern that is a mystery to me. You too. As for the situation of Eritreans in Qatar are concerned, not refuting what you explained, is relative. For instance, I can argue with confidence how Eritreans live in the gulf, all countries because I lived there and I know the situation. My last visit was October last. I am not sure how you feel confident about what you say with no disclaimer like “ I think so “ or something along those lines. Others can take your bait but those who know the issue just laugh at your comment. It pains me when you depreciate yourself in such a weak manner. I am sure You are not comparing saudi with Qatar because if that is the case yes but I wanted to tell you I know what I am talking about . Qatar do not give any favor to Eritreans than Ethiopians or Yemenis and that is facts on the ground , if you have anyone in Qatar I would like to know what favor does he got from Qatari than the Ethiopians or the Yemenis in there , I have asked and many refuted this favor thing . Ulma thing , ok we all know this is a religious organization but we also know ulma historically was a very political on its early time in Otoman empire and in this modern age an Eritrean elite who wish to transfer knowledge of Islamic to their Eritrean brother and sisters will always try to influence and play their hand in politics that is for sure my opinion,since I am only mentioning the political side I hope these people will decide to come to terms with the reality of Eritreans society. They are best known as the arbiters of sharia law and I don’t see how that is going to play out in Eritrean politics. Because we all know in Turkey every thing is played out in the name of god , plus ulama of the late nineteenth and early twentieth century prepared to impose extreme hardship on Muslim individuals through their inflexibility and I think such people should be come out to the sun so that people will be ready for what ever their influence to our society. I believe our Ulmas are opening office in Turkey not to prompt their elite knowledge but entirely It can not promote the faith too. 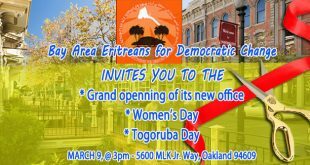 It is entirely to promote their own interests, politically, within the community and as dalaals (bargainers) vis a vis the next Eritrean political environment. All is my opinion and that I think has nothing to do with article but some how I find it a perfect time to look what exactly is this office in Turkey all about . I do not reply to kangaroo-debates. I challenged you in the Sanaa group allegation you made against the Awate Team. Don’t jump into yet another topic. I do not fall for that trick. As for religious based ideologies I reject them way before you appeared. Don’t lecture me on that because you are an armature in that issue. No pretensions. 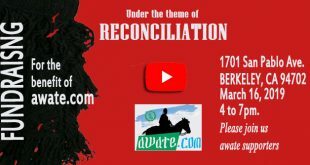 But I am generous and I will give you another challenge: there are many sectarian, religious association in the world—specifically among Eritreans. Why do you get a knee-jerk when it is related to insulin’s? Do you want ne to tell you the religious association you are a member of? The congregation? What the heck HOPE has to do with Blink,unless it is atypo error? Why do u care and waste your golden time debating or responding to such kangaroo debaters and comments then? Can’t u comply with /to your ‘Advisers” like Aman H and Ismael AA et al’s TIMELY and URGENT call? I grew up as a “Partial Muslim” and “FULL” Catholic kid with both Muslim and Christian family members. Now I am a Non-denominational PROUD Christian. Of course I have relatives all over the world, thanks to Haile Selassie, Derg and PFDJ. But I am not discussing my relatives here. I hold that Eritreans in Qatar are relatively better than in other places and so are most migrant workers there I am saying this from experience but you are not expected to agree with my findings or with anything on awate. So, that’s where it stops. “Hi Blink; so what is the real point of the Eritrean MOI press”. 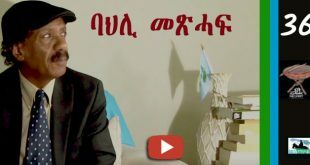 Let me throw my naive opinion since you are the MOST Innocent and OBJECTIVE as well as a genuine and real pro-Eritrea Debater here. 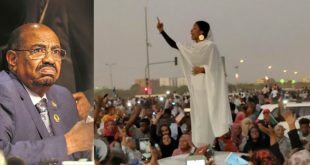 -Despite the Sudan has been our second home since 1960s and the Sudanese being the most brotherly and hospitable people towards Eritreans,there were ups and downs about the role of the successive Sudanese Govts vis-a-vis the Eritreans’ legit political and Armed Struggles. There are at least Three Major Unpleasant roles the Sudanese Govts played against Eritreans,that costed them lots. 1)During the Derghi Era,when the Sudanese Govt played a bad role in assisting the Col Menghistu Gov when Eritreans needed the Sudan Gov very badly–during one of the most critical times of the Eritrean Armed Struggle. a)Its role in 2000 when it allowed the TPLF Army to hit our EDF hard in Tessenei from the rear causing the worst causality Eritrea has experienced in a war zone, EVER ,since 1961 in the very true words of the Eri EDF Commanders. b)Its negative role both as part of the Sana Forum and particularly as a partner of the TPLF Agenda to the extent of signing a Military,Security/Defense and Intelligence against Eritrea until this minute and worse,being a party ot the new old Evil Axis Trio against Eritrea aligning with its Masters -Qatar and Turkey and its old master and Partner,the TPLF. 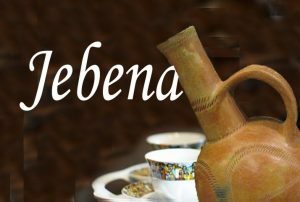 Now, be a Judge by using a common sense logic as to what Eritrea as a nation and the PFDJ as a Govt and as a Political Entity should have done and should do to protect Eritrea as a Nation and itself as a political entity–so as to survive as such..
remember that the PFDJ as being propagated now,it might be doing some PR Gimmick to divert the attention of Eritreans and others,which it should as a Political Entity to protect itself,but its press Statement is based on facts. If it is a simple diversionary tactic,trust me that will NEVER change the new wave in search of change in Eritrea.Plus,this press Statement is not new but prob the third one in ref to the trio’s role against Eritrea. But Hope believes that the threat,be it real or perceived,from the new old evil axis composed of the TPLF along with its old and new partners including the Sudan,Qatar and Turkey cannot be and should NOT be ignored.